Basic. The Basic edition contains everything you need to play all the common video file formats. Such as AVI, MKV, MP4, OGM, and FLV. Standard. The Standard edition contains a few additional features compared to the basic edition. It contains Media Player Classic, which is an excellent player for video files. Full. The Full edition includes all features of the Standard edition plus GraphStudioNext, and a few extra DirectShow filters. Mega. The Mega edition is the complete pack. It additionally contains VFW/ACM codecs for video encoding/editing. Updated frequently with the newest and best components. Works great with popular media players. Uninstallation removes everything that was installed by the pack. Contains everything you need to play all your movies and music. Problems are found and resolved quickly thank to a huge user base. Note: K-Lite Codec package includes K-Lite Codec Tweak Tool, a standalone utility that allows you to detect and remove broken references to codecs and filters and more. 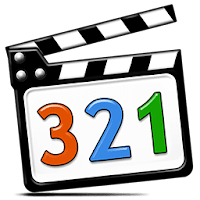 Disclaimer: Direct downloads for the lastest version of K-Lite Codec Pack 13.5.5 are provided by the official software's author, we can't guarantee safety, availability or download speed. Moreover, we don't and we won't provide any pirated/illegal versions or tools. We recommend you to avoid it as these methods can harm your device. If you like the software, buy it to support the developers. (We provide software discounts for many worldwide brands).